Hey folks... the Short Mystery Fiction Society announced the finalists for the 2016 Derringer Awards yesterday and fully 25% of the stories are by SleuthSayers! John Floyd scored in two categories. Barb Goffman, Elizabeth Zelvin, and I settled for one each. Congratulations to all the finalists! 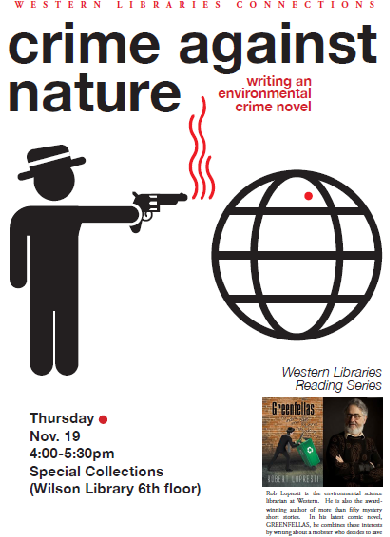 Back in November I had the chance to speak at the university where I work about my novel Greenfellas. The good folks there have put a video of my talk on the web, which reminded me of something I wanted to discuss about it. I guessed correctly that a lot of people in the audience would not be mystery fans and since this is an educational institution, I figured I should educate them a little on the field. When you ask someone not familiar with the genre to think about mysteries they tend to conjure up Agatha-Christie style whodunits so I explained that there are also hardboiled, police procedurals, inverted detective stories, noir, caper, and so on. All of which is fine and dandy. But in the Q&A someone asked me what types of mysteries I particularly enjoyed. 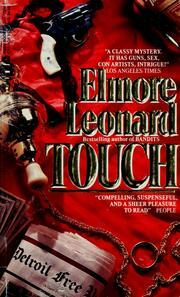 I happened to mention Elmore Leonard - and then I was stumped as the thought ran through my head: What type of mystery did Elmore Leonard write? Well, you could say, he wrote Elmore Leonard novels. That's not as silly as it sounds. He wrote a novel called Touch, about a man who acquired the ability to heal people by touching them. At first publishers didn't want it because it was not a crime novel, but by 1987 they were willing to take a chance on it because it was an Elmore Leonard novel, and readers knew what that meant. 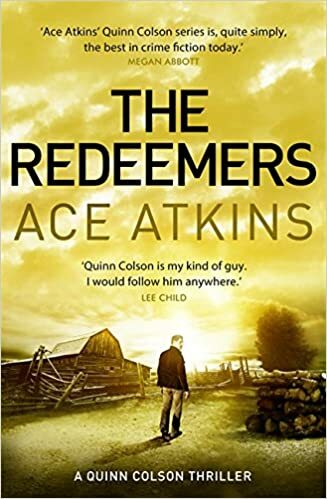 The subject was also on my mind because I had recently read Ace Atkins novel The Redeemers, which struck me as being very much in Leonard's territory. (That's a compliment to Atkins, by the way.) And I can't exactly say he is writing Elmore Leonard novels. So, what am I talking about? A third person narration story from multiple points of view, and most of those characters are criminals, each of whom has a nefarious scheme going. The main character might be a good guy or just a slightly-less-bad guy. You know I love quotations, so here is one from Mr. Leonard: "I don’t think of my bad guys as bad guys. I just think of them as, for the most part, normal people who get up in the morning and they wonder what they’re going to have for breakfast, and they sneeze, and they wonder if they should call their mother, and then they rob a bank." Is there a name for this category of book? Crime novel is useless. Suspense doesn't really cut it. You could argue that my book Greenfellas falls into that category, but I don't think it does. First of all, it's a comic crime novel. 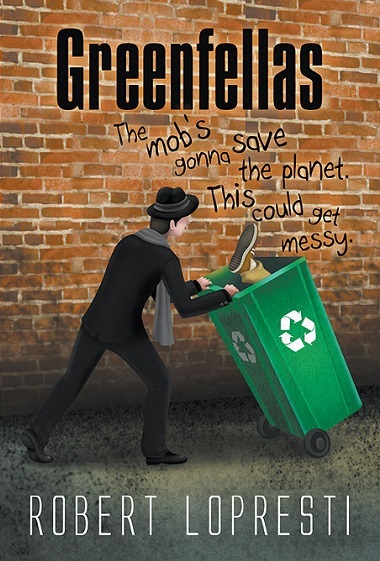 It's an organized crime novel, about the Mafia. (Leonard's characters tend to be disorganized crime.) And - I have harder time explaining this one - to me it's a criminal's Pilgrim's Progress, concentrating on one bad guy as he goes through a life-changing crisis. So that's three category names for my novel. But I'm still thinking about Leonard's. Congratulations to you , John, Barb and Elizabeth! That's a great lineup right there. Congrats to all on the nominations! It's wonderful to be part of a group that has people like you, John, Barb, and Elizabeth! Wow! Congratulations to all! And I don't see anything wrong with saying that Elmore Leonard wrote Elmore Leonard novels: after all, Stephen King writes Stephen King novels. Rob, congratulations to you, Barb, Elizabeth, and John for finalling for the Derringers! Thanks for the announcement, Rob, and thanks to all for the kind congratulations! I'm honored and grateful to be among the nominees. Eve, one major lesson I take from this is that corruption and evil can flourish anywhere. I'm glad you shine a light on these things.